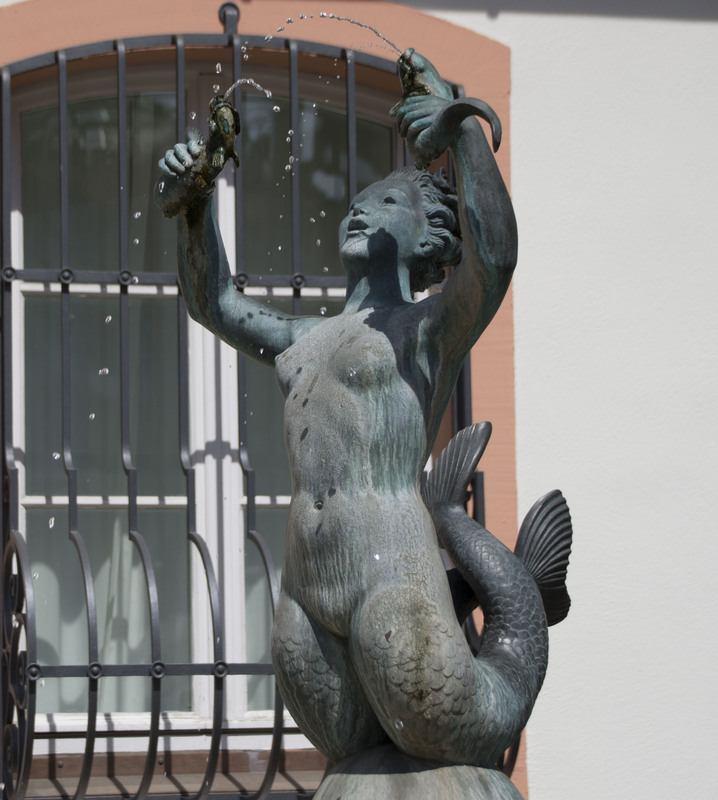 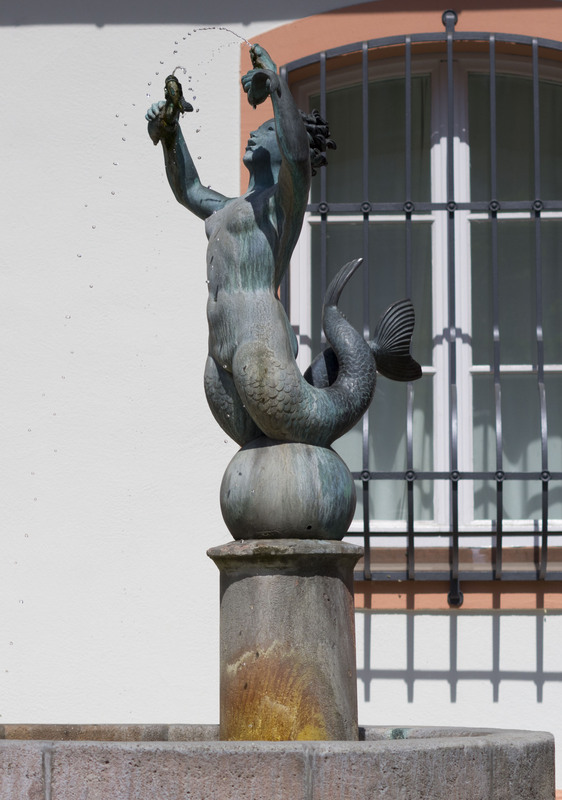 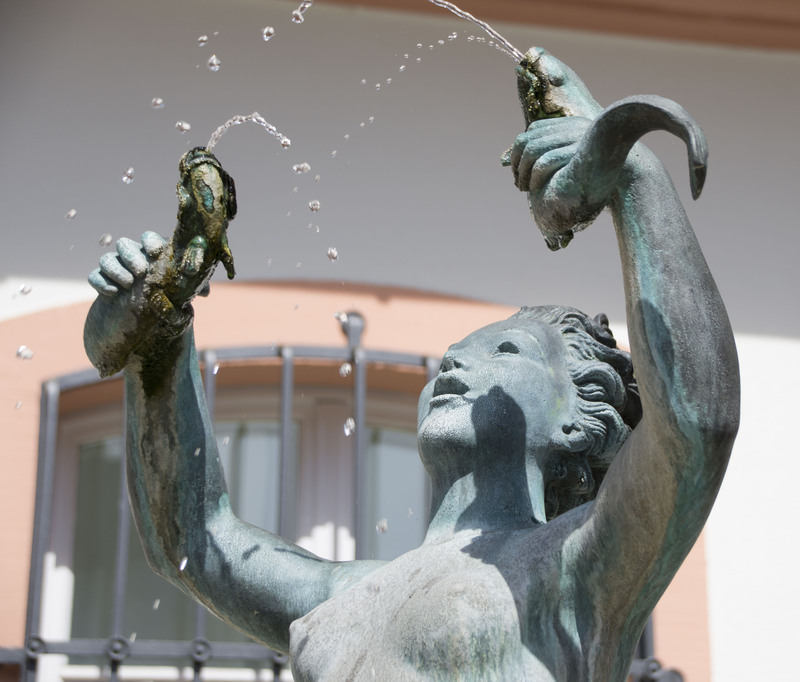 More data is needed on this mermaid statue, including the name of the sculptor, as well as the history and story and other interesting information about it. 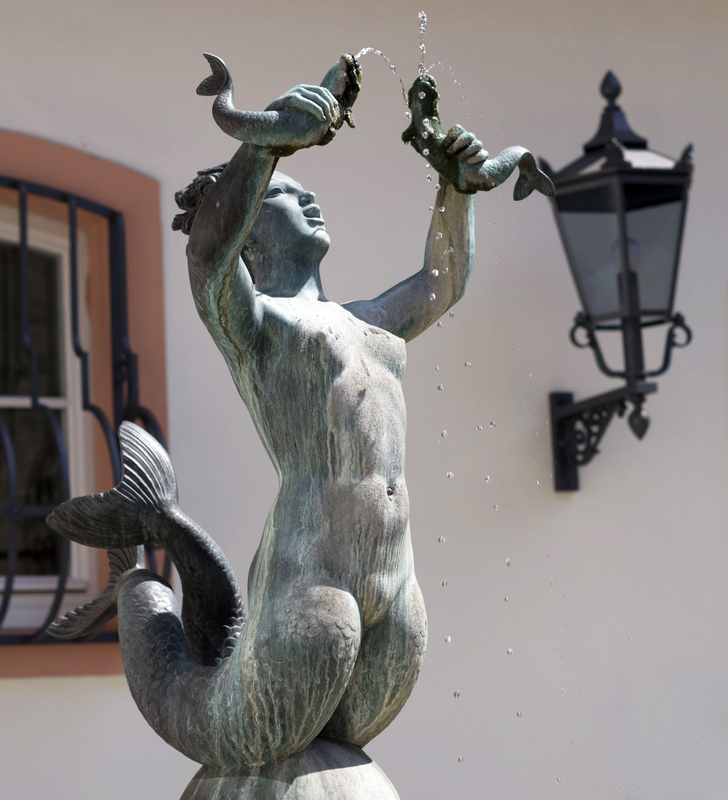 Despite the small size of this statue, the features are very fine and detailed and the workmanship is superb. 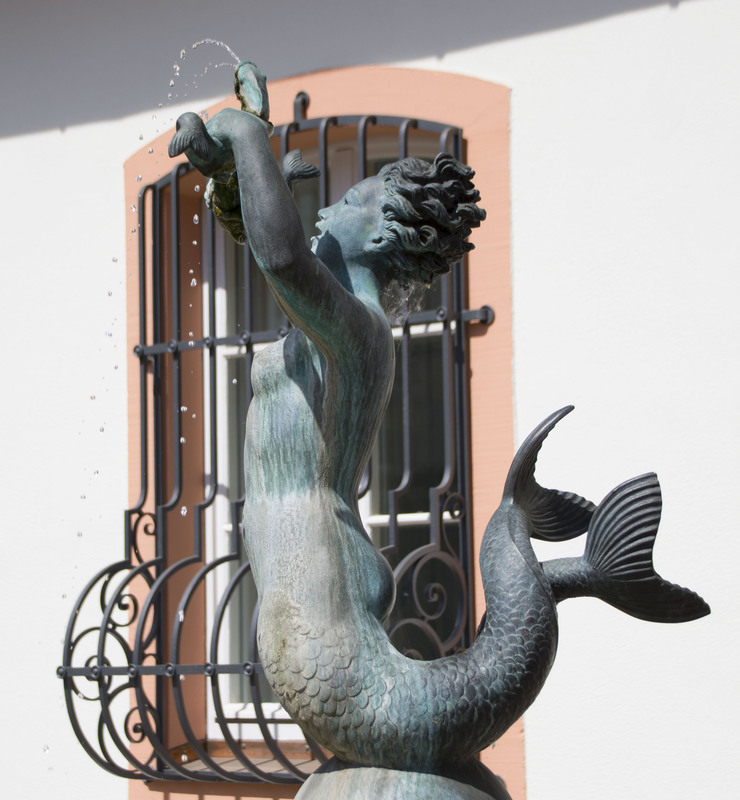 The artist made the mermaid twin-tailed, which is not unusual. 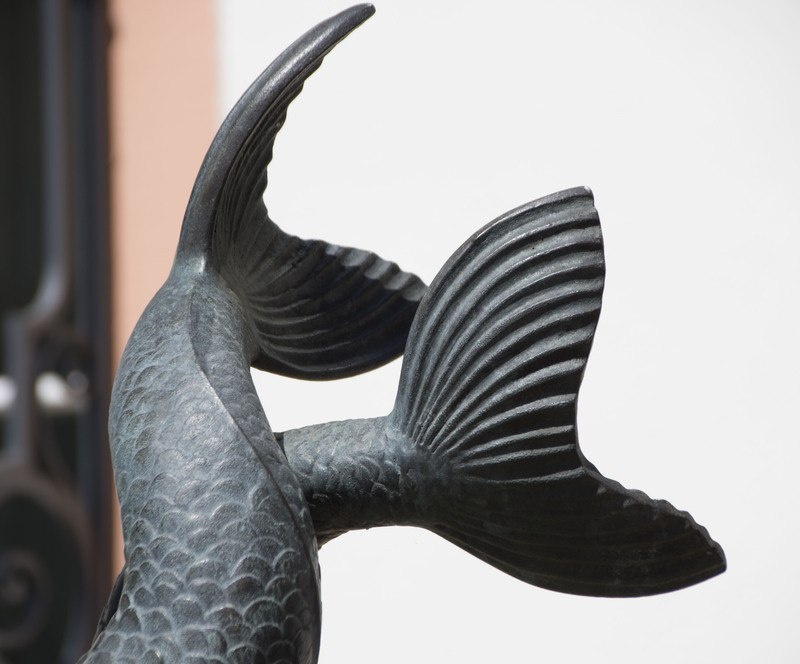 Other twin-tailed mermaids in our collection are listed here.